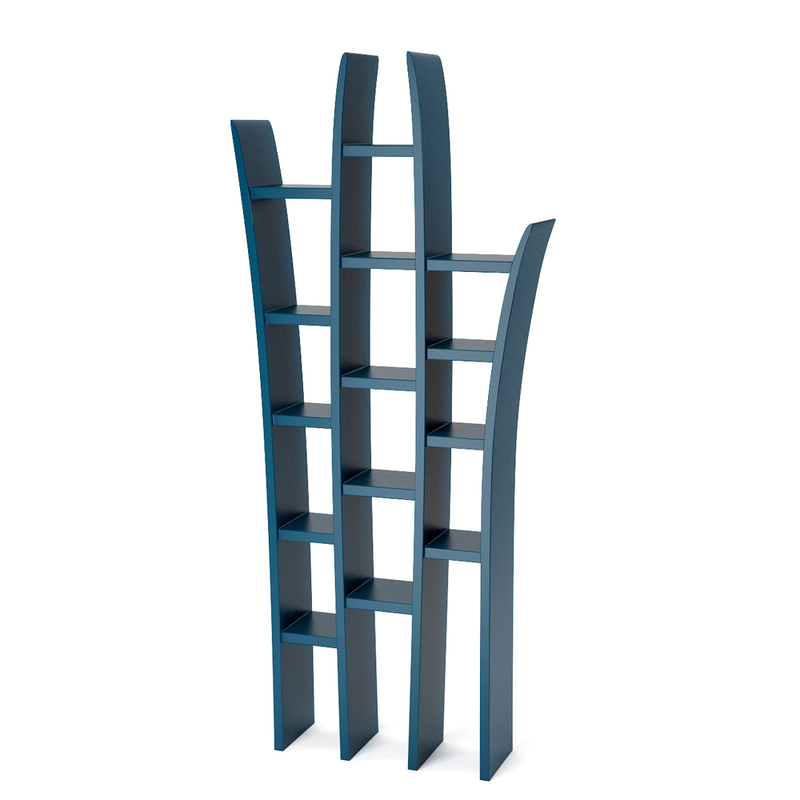 Herba bookshelf is, as its name recalls inspired from the movement of reed. Each vertical slab has been designed to a slight curve with a pointy end in order to depict the natural look of the reed. Realized with Adamantx® and available colours in both Emerald blue and White.